“A good life is not as some people perceive it to be, it is thought to be protection from trials, poverty, sickness and grief. No! 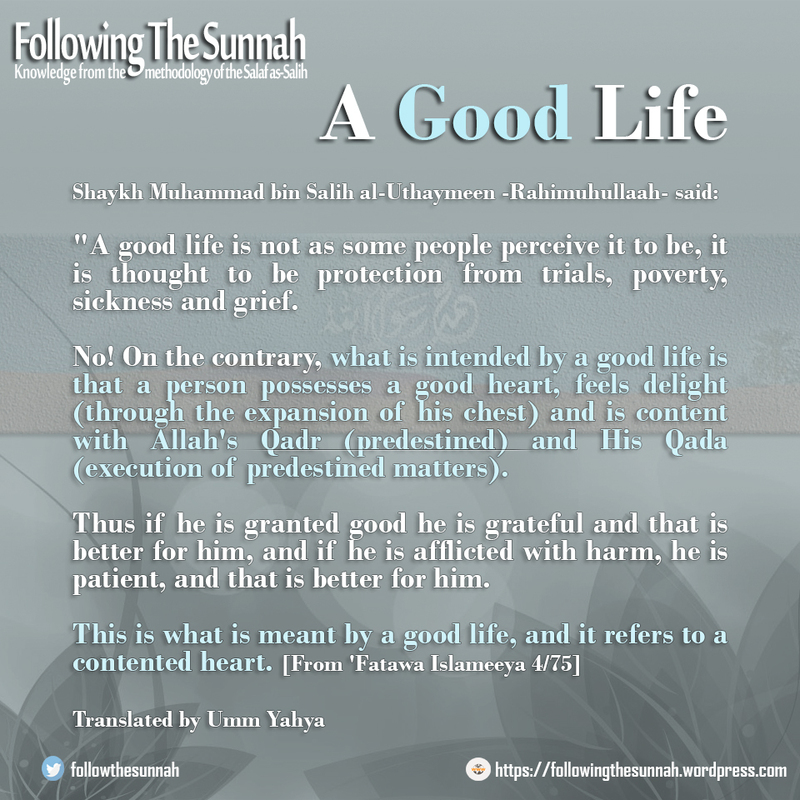 On the contrary, what is intended by a good life is that a person possesses a good heart, feels delight (through the expansion of his chest) and is content with Allah’s Qadr (predestined) and His Qada (execution of predestined matters). Thus if he is granted good he is grateful and that is better for him, and if he is afflicted with harm, he is patient, and that is better for him. This is what is meant by a good life, and it refers to a contented heart.